The Inspiron 5000 laptops with 14-inch, 15-inch and 17-inch screens contain AMD's new A-series chips, code-named Carrizo. The laptops are now shipping worldwide even though the chips aren't due to be announced until Wednesday. The desktop-replacement laptops start at US$449.99 for the 15-inch model, $599.99 for the 14-inch model, and $699.99 inch for the 17-inch model. Dell once used AMD chips in a range of laptops, but slowly dropped them from product lines as the chip-maker dealt with quality and production problems. Hewlett-Packard has stayed loyal to AMD, but many other PC makers have dropped AMD's chips over the years for not standing up to Intel's chips in performance. This is a good start for AMD's Carrizo chips, which offers up to twice the battery life when playing video as the previous A-series chips, codenamed Kaveri. They also deliver up to 65 percent better graphics performance, but only nominal improvements in CPU performance. 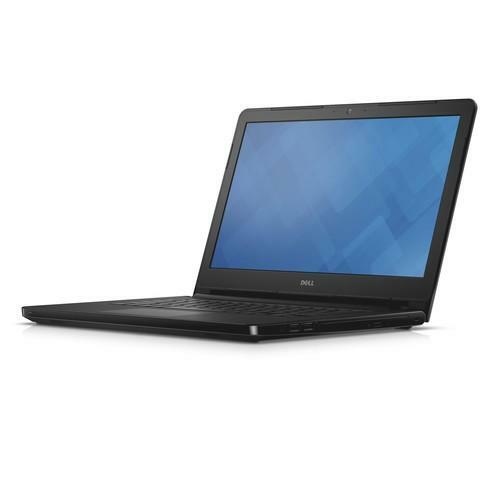 During a short hands on, the Inspiron 15 5000 with a 15-inch screen booted in under 10 seconds, and the graphics shined during video playback. AMD will bring a new level of graphics to Dell's mainstream laptops, most of which have Intel's high-definition graphics, which are not as good. The PC had a quad-core A10-8700P CPU running at 1.8GHz with six integrated graphics cores. The laptop included USB 3.0 and HDMI ports. A full sized keyboard with separate numeric keys made typing easy. With its optical drive, though, the laptop felt heavy. The unit tested didn't have a touchscreen, but higher resolution and touch screens are available on the Inspiron 5000 laptops. The 14-inch and 15-inch models will also be available with Intel Celeron and Pentium chips code-named Braswell next month. Dell didn't say if Core chips would be offered as an option on the laptops. Dell is also using AMD chips in the 23.8-inch Inspiron 24 3000 and 19.5-ich Inspiron 20 3000 all-in-one desktops. The PCs have high-definition displays with USB 2.0, USB 3.0 and Ethernet ports. The Inspiron 24 3000 starts at $429.99 and is shipping in the U.S. and China, while the Inspiron 20 3000 will ship later this year starting at $329.99.